63255 SPE GERMANY (1985) Romano Guardini*. 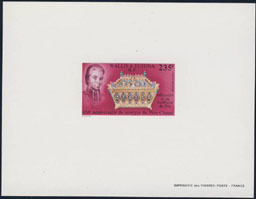 Specimen (overprinted MUSTER). Scott No 1435, Yvert No 1069. 30371 SPE ALLEMAGNE (1985) Josef Kentenich*. Timbre surchargée "MUSTER" (spécimen). Fondateur du Mouvement évangéliste international Sch�nstatt. Yvert No 1084, Scott No 1444. Très beau! 60839 MAX LIECHTENSTEIN (1986) Fasting sacrifice*. Maximum card. Scott No 843, Yvert No 836. 60841 MAX LIECHTENSTEIN (1986) Palm Sunday*. Wedding*. Rogation*. Set of 3 maximum cards. Scott Nos 844-6, Yvert Nos 840-2. 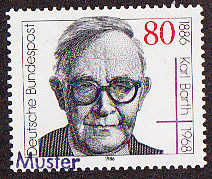 59271 SPE GERMANY (1986) Karl Barth*. MUSTER (Specimen) overprint. Scott No 1461, Yvert No 1114. 59284 SPE GERMANY (1986) Map of Latin America*. MUSTER (Specimen) overprint. Advent collection for LatinAmerican churches. Scott No 1495, Yvert No 1134. 58072 EL WALLIS & FUTUNA (1986) Curé of Ars*. Deluxe sheet. Scott No C147, Yvert No PA150. 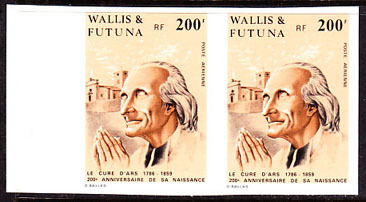 71668 ND WALLIS & FUTUNA (1986) Curé of Ars*. Imperforate pair. Scott No C147, Yvert No PA150. 58052 EL SENEGAL (1987) Statue of Angel*. Father Brottier*. Deluxe sheet. Cathedral of African Memory. Scott No 734, Yvert No 720. 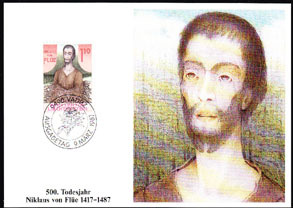 60849 MAX LIECHTENSTEIN (1987) Niklaus von Flue*. Maximum card. Scott No 863, Yvert No 861. 55292 SPE JAPAN (1988) Hachiman goddess*. MIHON (specimen) overprint. Scott No 1749. 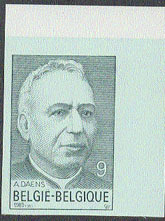 42503 ND BELGIUM (1989) Father Daens*. 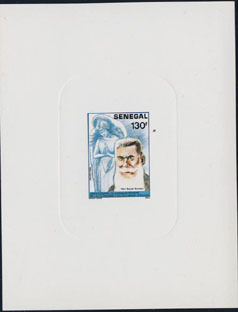 Imperforate with control number on back. Scott No 1331, Yvert No 2347. 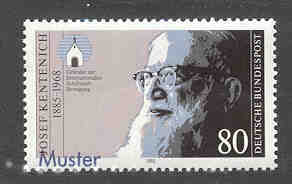 59335 SPE GERMANY (1989) Martyred missionaries*. MUSTER (Specimen) overprint. Joint issue with Ireland. Scott No 1580, Yvert No 1256. 55218 SPE JAPAN (1989) Buddha*. MIHON (specimen) overprint. Scott No 1628. 55220 SPE JAPAN (1989) Sho-Kannon*. 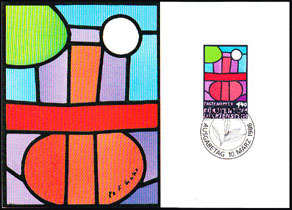 MIHON (specimen) overprint. Scott No 1631. 55312 SPE JAPAN (1989) Bronze Buddha, 7th century*. MIHON (specimen) overprint. Scott No 1815. 55310 SPE JAPAN (1989) Buddhist Altar*. MIHON (specimen) overprint. Scott No 1817. 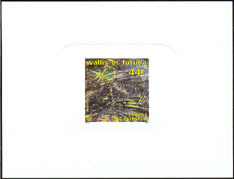 34628 EL WALLIS & FUTUNA (1990) Star of Bethlehem*. Deluxe sheet. Scott No 388, Yvert No 393. Astonishing! 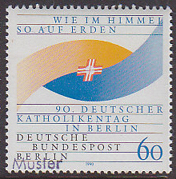 59355 SPE GERMANY (1990) Rummelsburg Diaconical Institute 100th anniversary*. MUSTER (Specimen) overprint. Scott No 1607, Yvert No 1299. 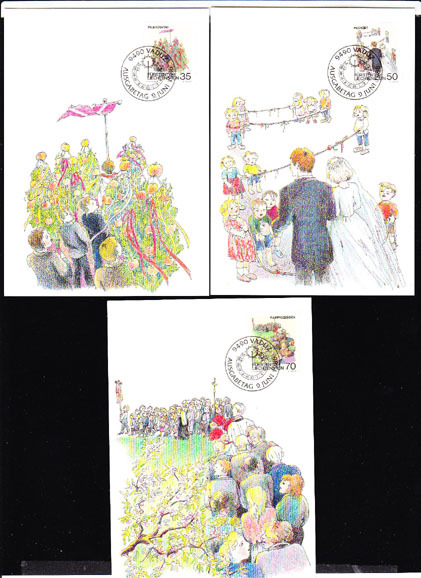 63386 SPE GERMANY (1990) 90th German Catholics Day*. 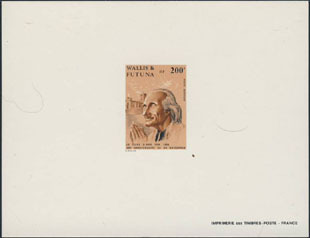 Specimen (overprinted MUSTER). Scott No 9N584, Yvert No 834. 28291 EL WALLIS & FUTUNA (1991) Père Chanel*. Reliquaire*. Épreuve de luxe, 150e anniversaire du martyre Père Chanel. Scott No C166.